Isaacson’s book is studded with moments that make you go “wow.” There’s the Apple flotation, which made the 25-year-old Jobs US$256 million in the days when that was a lot of money. There’s his turnaround of the company after he returned as CEO in 1997: In the previous fiscal year the company lost US$1.04 billion, but he returned it to profit in his first quarter. There’s the launch of the iTunes store: Expected to sell a million songs in six months, it sold a million songs in six days. Walter makes it very clear that Jobs wasn’t a visionary or even a particularly talented electronic engineer. But he was a businessman of astonishing flair and focus, a marketing genius, and — when he was getting it right, which wasn’t always — had an intuitive sense of what the customer would want before the customer had any idea. He was obsessed with the products, rather than with the money: Happily, as he found, if you get the products right, the money will come. I am a HUGE fan of ‘Sir’ Steve Jobs…he ‘is’ a phenomenon…I have been following him from past few years very very closely…going through every keynotes…his way of presentation….his way os talking…everything…I admire in him. He is my idol…my ‘Mentor’…but having known so much about Steve, I still would like to know more…no as if I want to know what happened with Steve and his childhood…but because I want to learn as to whatever happened with him…how that made him the person he was…. Reams of academic studies over the decades have amply confirmed television’s pernicious mental and moral influences. And most TV watchers know that their habit is mind-numbing and wasteful, but still spend most of their time in front of that box. So turn your TV off and save some brain cells. But be cautious, you can turn your brain off by using a computer also. Try and have an intelligent conversation with someone who plays first person shooters for 8 hours a day. Or auto race games, or roll playing games. Don’t equate making mistakes with being a mistake. There is no such thing as a successful person who has not failed or made mistakes, there are successful people who made mistakes and changed their lives or performance in response to them, and so got it right the next time. They viewed mistakes as warnings rather than signs of hopeless inadequacy. Never making a mistake means never living life to the full. Over the last decade, numerous books featuring lessons from historical figures have appeared on the shelves of bookstores around the world. And Socrates stands with Leonardo da Vinci, Nicholas Copernicus, Charles Darwin and Albert Einstein as a beacon of inspiration for independent thinkers. But he came first. Cicero said of Socrates that, “He called philosophy down from the skies and into the lives of men.” So use Socrates’ principles in your life, your work, your learning, and your relationships. It’s not about Socrates, it’s really about you, and how you can bring more truth, beauty and goodness into your life everyday. Did you know that you have big things to accomplish in life? And did you know that those big things are getting rather dusty while you pour yourself another cup of coffee, and decide to mull things over rather than do them? We were all born with a gift to give in life, one which informs all of our desires, interests, passions and curiosities. This gift is, in fact, our purpose. And you don’t need permission to decide your own purpose. No boss, teacher, parent, priest or other authority can decide this for you. Just find that unique purpose. Are you tired of living someone else’s dream? No doubt, its your life and you have every right to spend it in your own individual way without any hurdles or barriers from others. Give yourself a chance to nurture your creative qualities in a fear-free and pressure-free climate. Live a life that YOU choose and be your own boss. Each lesson might be difficult to integrate into your life at first, but if you ease your way into each lesson, one at a time, you’ll notice an immediate improvement in your overall performance. So go ahead, give them a try. His accomplishments and character helped define a generation and change the world. 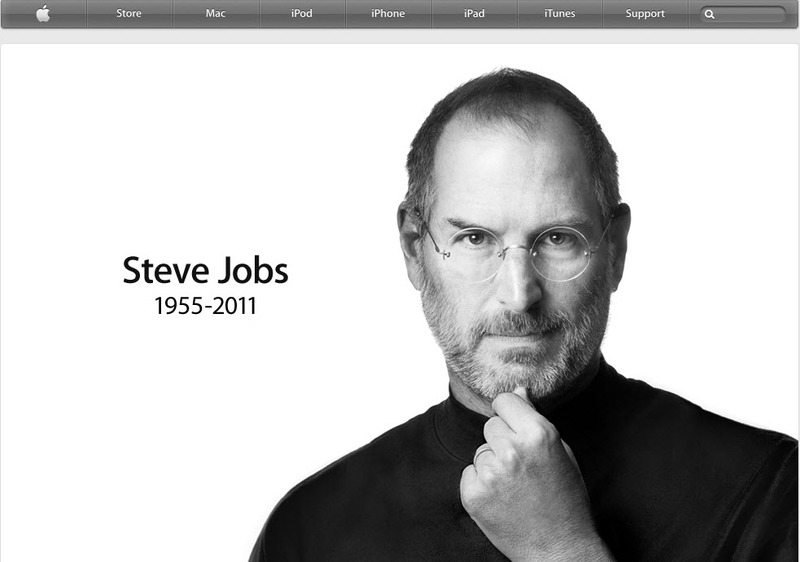 He was co-founder of the fairytale company we now know as Apple Computers. And he was the visionary of the personal computers world that led the entire computer hardware and software industry to restructure itself. This man with boundless energy and charisma is also a master of hype, hyperbole and the catchy phrase. And even when he’s trying to talk normally, brilliant verbiage comes tumbling out. Innovation has no limits. The only limit is your imagination. It’s time for you to begin thinking out of the box. If you are involved in a growing industry, think of ways to become more efficient; more customer friendly; and easier to do business with. If you are involved in a shrinking industry – get out of it quick and change before you become obsolete; out of work; or out of business. And remember that procrastination is not an option here. Start innovating now!!! It is the kind of mind that can see things as they are, which step by step and in a flash can realize the original nature of everything. Beginner’s mind is the mind that is innocent of preconceptions and expectations, judgements and prejudices. Think of beginner’s mind as the mind that faces life like a small child, full of curiosity and wonder and amazement.